Rio Tinto (ASX, LON, NYSE: RIO), the world’s second largest mining company, denied Wednesday a report released by a Dutch non-profit organization claiming it had dodged $700 million in taxes to Mongolian and Canadian authorities relating to its Oyu Tolgoi copper and gold mine. According to the Dutch Centre for Research on Multinational Corporations (SOMO), Rio and its Canadian subsidiary Turquoise Hill (TSX, NYSE:TQR), avoided nearly $470 million in Canadian taxes by using mailbox companies in two tax havens, Luxembourg and the Netherlands. The publication also claims that, through an investment agreement covering the Oyu Tolgoi, Rio has caused Mongolia a $230 million tax revenue loss. Rio and its Canadian subsidiary Turquoise Hill are said to have used so-called mailbox companies in Luxembourg and the Netherlands to fund Oyu Tolgoi’s development. Rio Tinto, which is in the midst of executing a $5.3 billion underground expansion of the giant copper-gold operation, denied SOMO’s claims. “The flawed SOMO report contains a number of unsubstantiated and incorrect allegations regarding tax,” Rio Tinto said in an emailed statement. According to the company, Oyu Tolgoi’s structure was agreed beforehand between the company and the Canadian and Mongolian governments. It added the tax outcomes were in line with those in Australia, the US and Chile. But Canadians for Tax Fairness is already calling on the Canadian government to review its international treaties and introduce legal requirements to prevent abusive tax-avoidance practices, following SOMO's report. 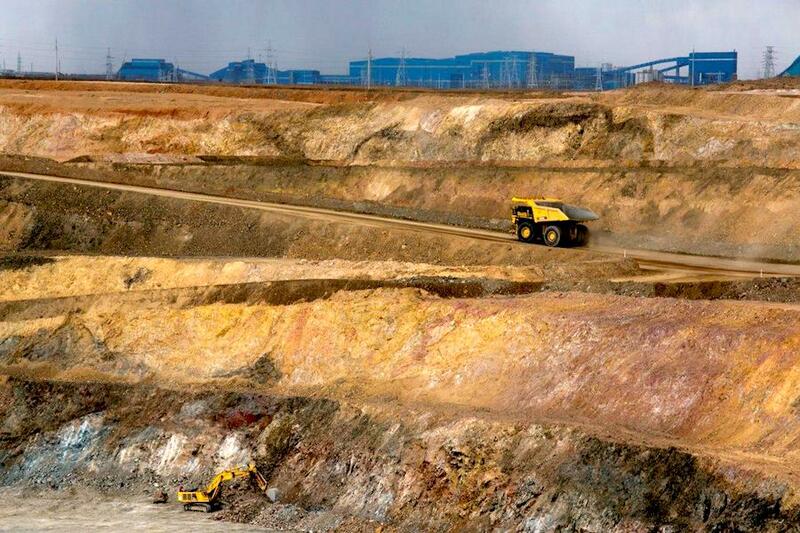 It has been a rough beginning of the year for Rio Tinto’s operations in Mongolia. First, the country’s government served Oyu Tolgoi with a new bill for $155 million in back taxes — the mine's second tax dispute since 2014. Turquoise Hill said at the time the charge related to an audit on taxes imposed and paid by the mine operator between 2013 and 2015. It added it's disputing the assessment. Last week, Rio’s chief executive Jean-Sebastien Jacques travelled to Mongolia’s capital city to meet with prime minister Ukhnaagiin Khurelsuk about how to build “win-win” partnerships. The visit was followed by a company’s announcement that it was opening a new office in the country, which will focus on exploration and local links. Oyu Tolgoi was discovered in 2001 and Rio gained control of it in 2012. The operation is jointly owned by the government of Mongolia (34%) and Turquoise Hill (66%), of which Rio Tinto owns 51%. In a report released in April, Rio Tinto said it paid a total of $215 million in 2016 taxes to Mongolia, and $4 billion globally. * SOMO's full report can be downloaded here.